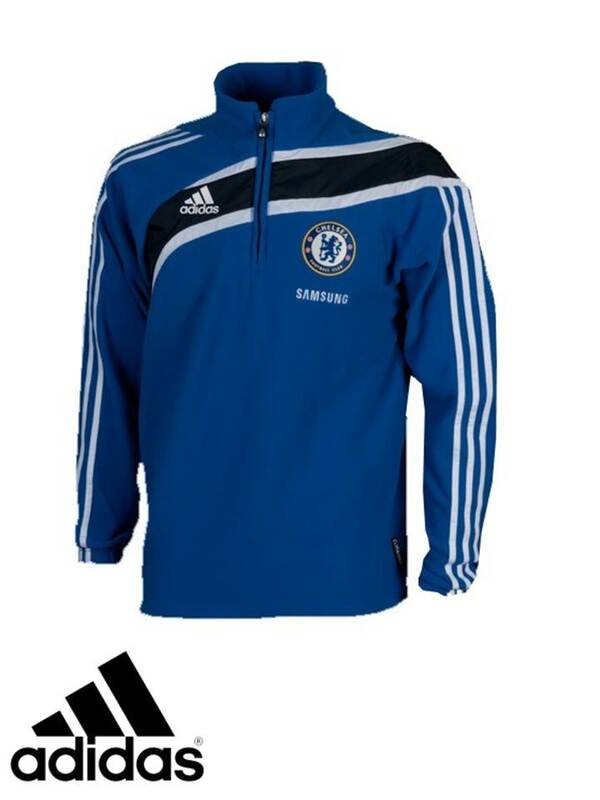 Description: Men's Adidas 'Chelsea FC' fleece track top. Features a small Adidas logo and Chelsea FC badge across the front chest. Also includes three stripes down each sleeve, as well as a zip fastened collar and a fleece exterior/interior.